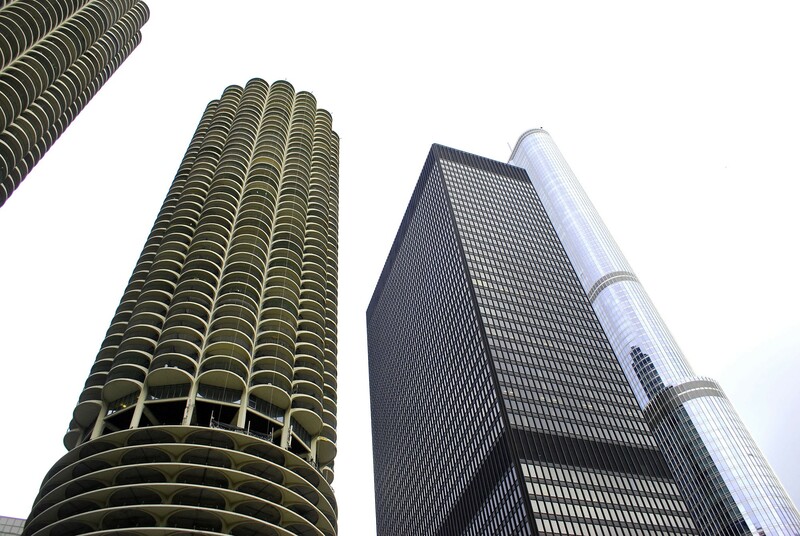 One of the last American projects designed by Ludwig Mies van der Rohe, this powerful Modernist structure occupies a prominent place on the Chicago River. 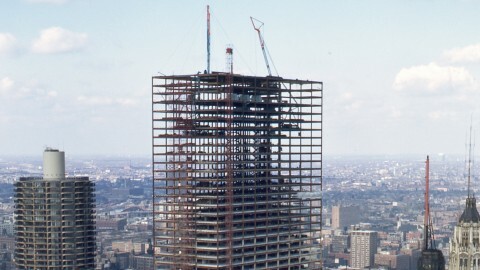 At 52 stories and 695 feet, it is his second tallest building (after the Toronto Dominion Center). 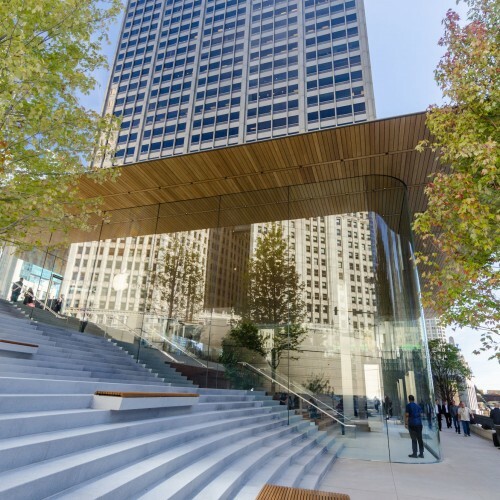 Its black anodized aluminum exterior provides vigorous expression of the structure, despite its limited range of materials and color. 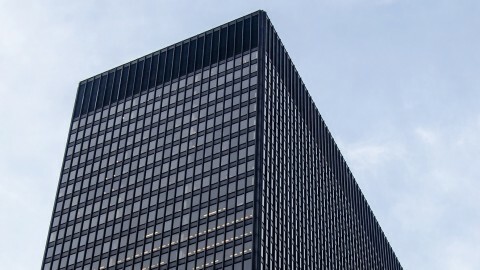 Like the Chicago Federal Center further south, 330 North Wabash remains, from the outside, a monument to the architect’s maxim, “Less is more.” Simplified, modern and efficient, the exterior of this steel and glass building embodies the Miesian vocabulary. The interior, particularly the lower 13 stories, conveys a very different sense of style. 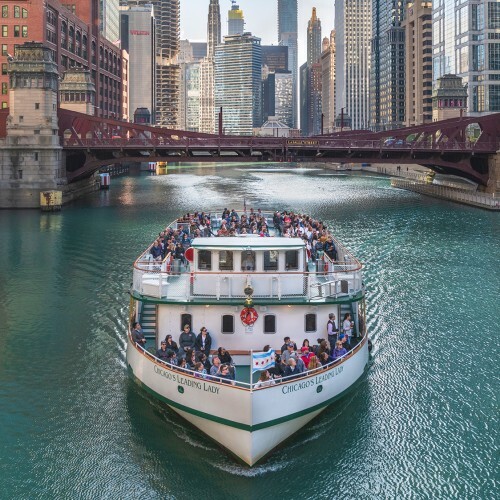 In 2017, the Langham Hotel in Chicago was named the best hotel in the U.S. in 2017 by U.S. News and World Report and among the world’s best by Travel+Leisure. 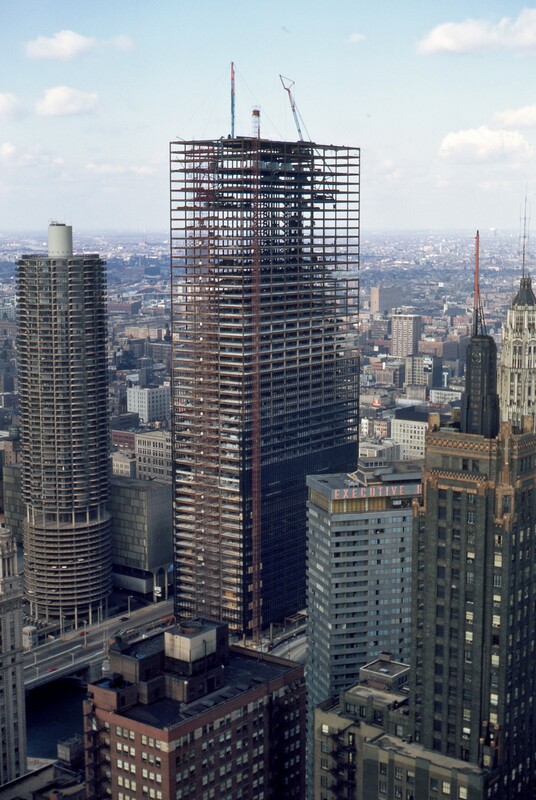 The building resembles the towers of Federal Center, a few blocks away, which were designed earlier, but not completed until 1974. 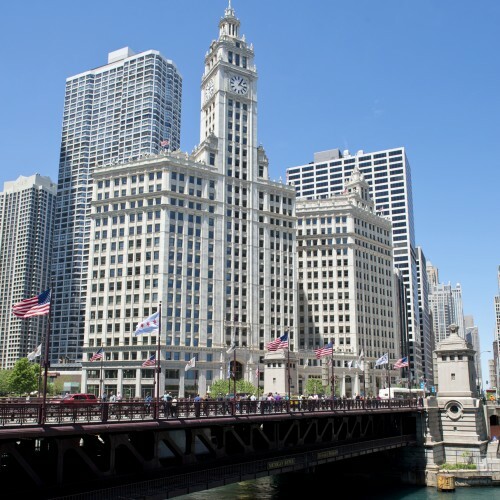 As the IBM Building, 330 North Wabash was named a Chicago landmark in 2008 and added to the National Register of Historic Places in 2010. 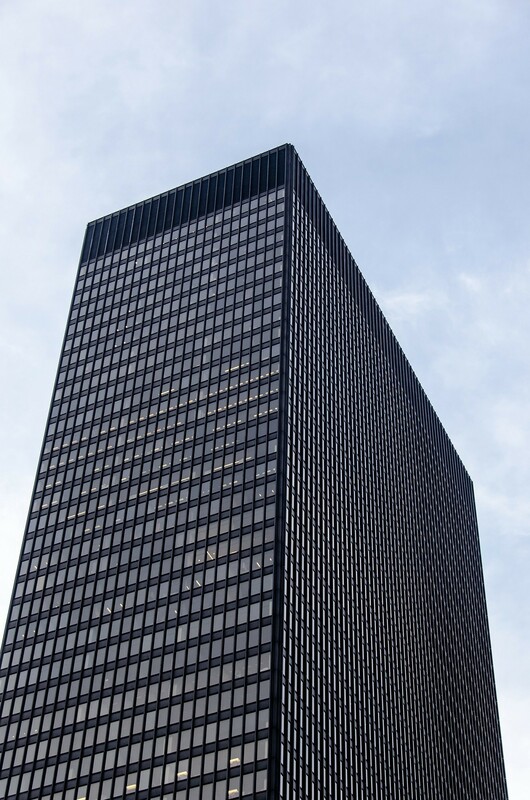 IBM commissioned Mies in 1966 to design the building for their Chicago offices. The first floor lobby is nearly 26 feet high, scaled in proportion to the rest of the building. 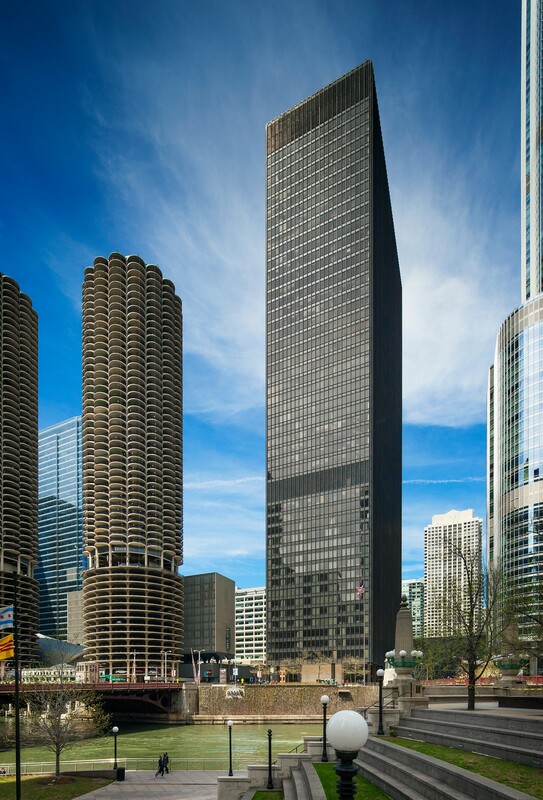 The building is positioned toward the north end of its site, allowing for the inclusion of a plaza on the other half of the site that extends to the Chicago River. 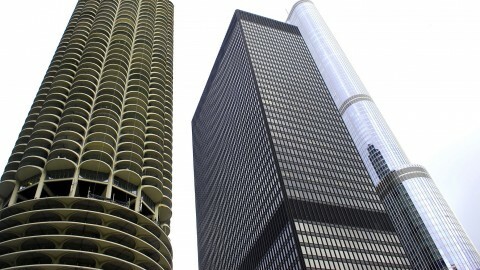 When the building was completed in 1972, it provided clear views of Lake Michigan and the newly-constructed Marina City. IBM sold the building 1996 and moved out in 2005. 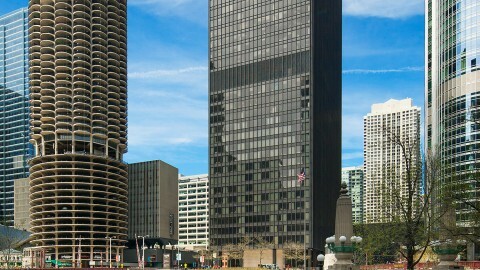 Most views of the lake from the building were blocked when the Trump International Hotel and Tower was completed in 2009. 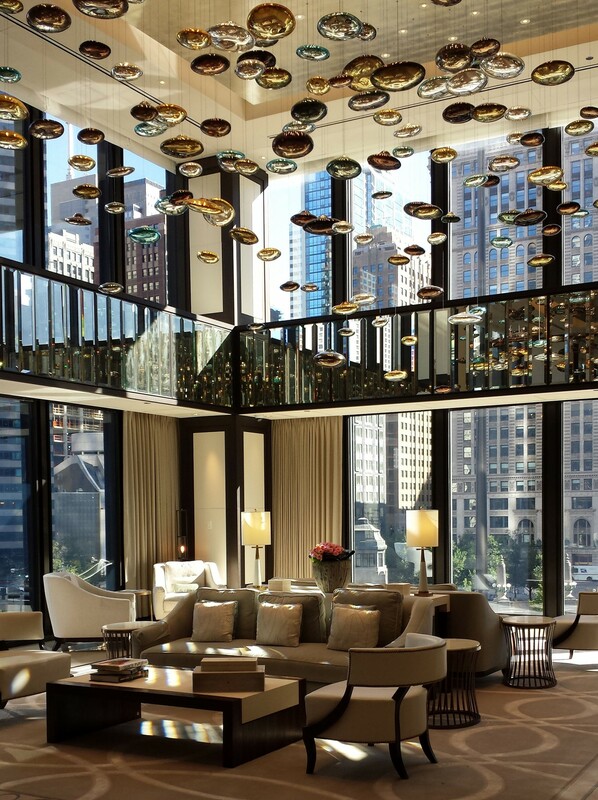 The Langham Hotel began a redesign of the lower 13 stories overseen by prominent architect and designer Dirk Lohan (who is also Mies van der Rohe’s grandson). 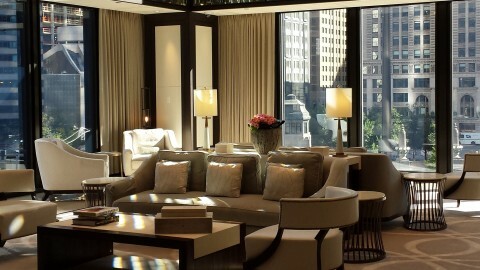 The hotel, which opened in 2013, now contains the rich colors and materials one might expect in one of the world’s leading luxury hotels. 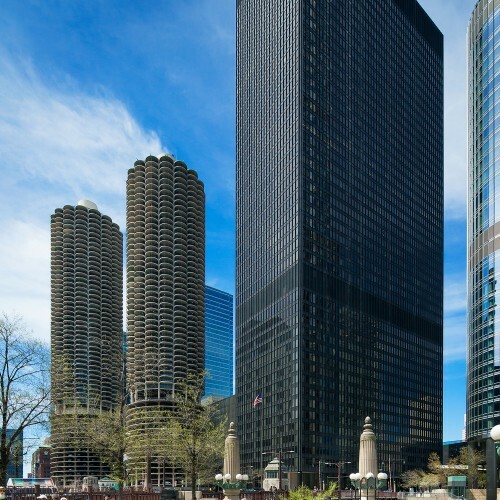 In 2013, the American Medical Association moved in to a portion of the building’s more than one million square feet of rentable office space, and the site became known as AMA Plaza.